Wow, Canada Has Upwards of Ten Provinces! 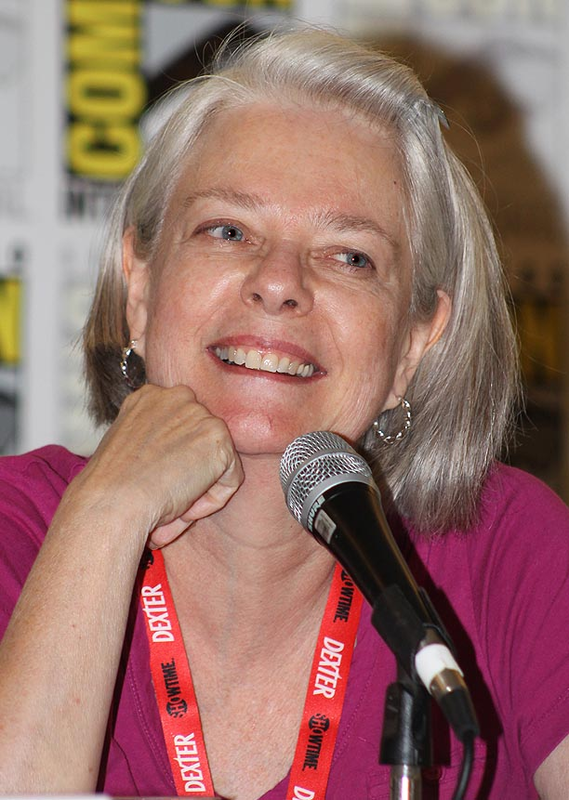 Louise Simonson, aka “Weezie,” came on to edit the X-Men in 1980, at that point in time using the name Louise Jones (last name from her first marriage). 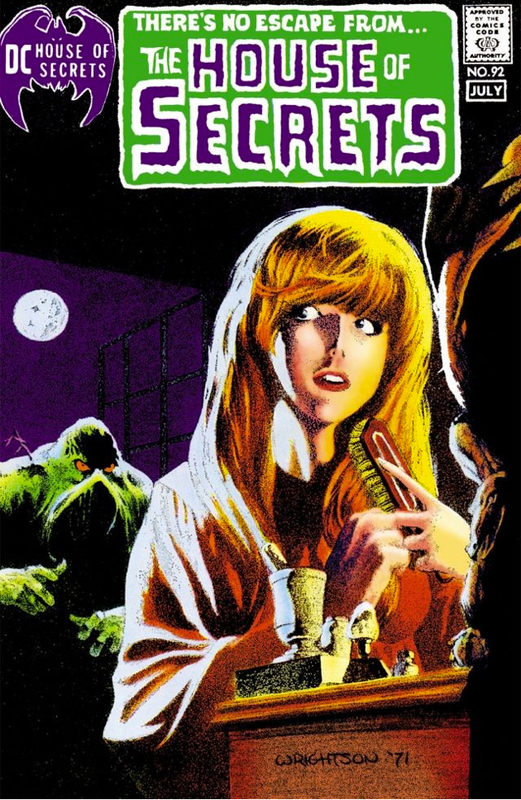 Her first appearance in comic books was actually as a model for Berni Wrightson’s 1971 House of Secrets cover, where the Swamp Thing was first introduced. 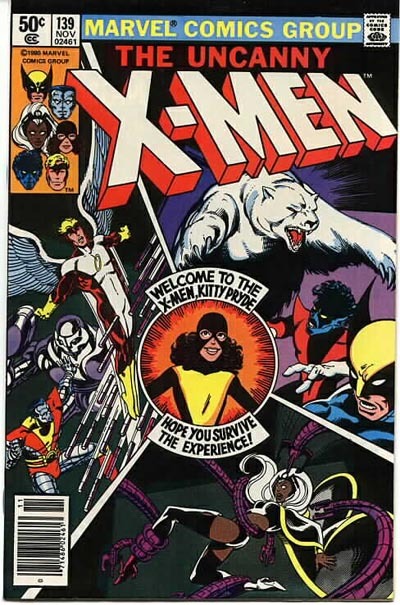 After a few years of editing, Louise transitioned to writing, creating Power Pack and then partnering with Chris Claremont to basically co-write the X-Universe from 1986-1991, writing large chunks of New Mutants and X-Factor, including the creation of the X-villain Apocalypse. In 1991 she transitioned to DC comics, where she wrote Superman for 8 years, including contributing to the historic Death of Superman storyline. 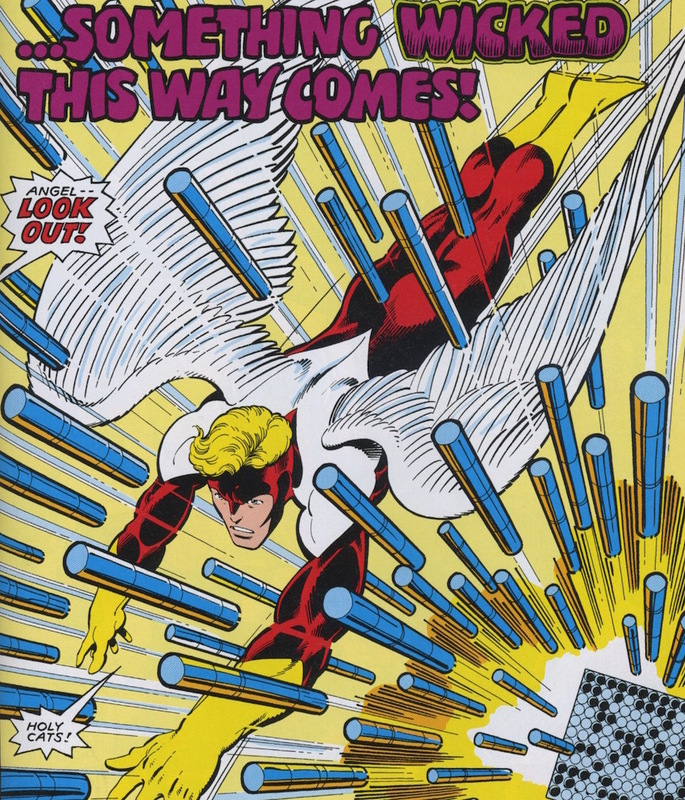 Louise Simonson is of course married to the legendary artist, Walt Simonson, who is probably most famous for his run on Marvel’s Thor (1983-87). 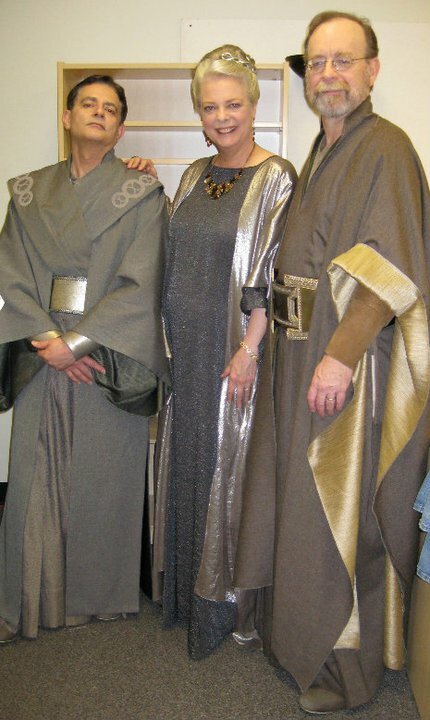 Because of this Thor connection, Walt (right) and Weezie (middle), along with writer/editor Ralph Macchio (left) — NOT THAT Ralph Macchio — got to dress up as Asgardians and do background work for the Thor movie. 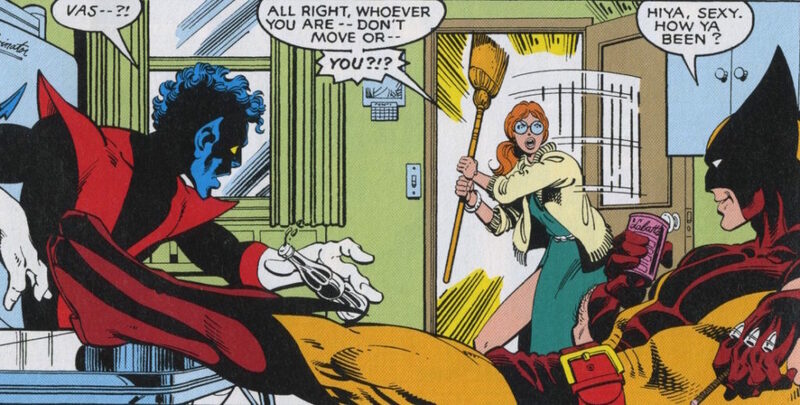 Professor X has particularly nasty punishments for dropping the relay baton. Just two minutes a side is enough to sear the Nightcrawler while leaving his insides a juicy pink. NO ONE WAS GIVING A FOOTRUB TO ANYONE IN HERE!!! 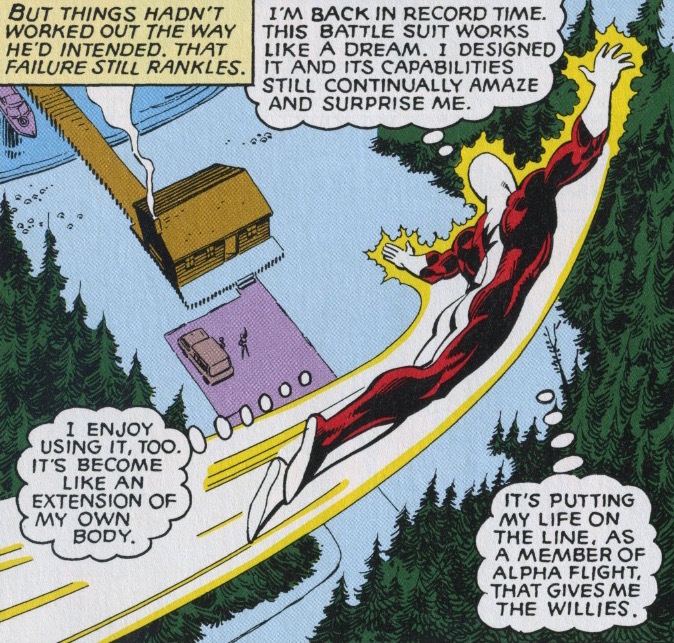 With the tightness of that suit, everyone below can see a member of Alpha Flight. And believe me, they get the Willies. Wolverine’s latest plan was to bluff his way into the cool kids’ party. This summer he and Kurt would finally be popular! 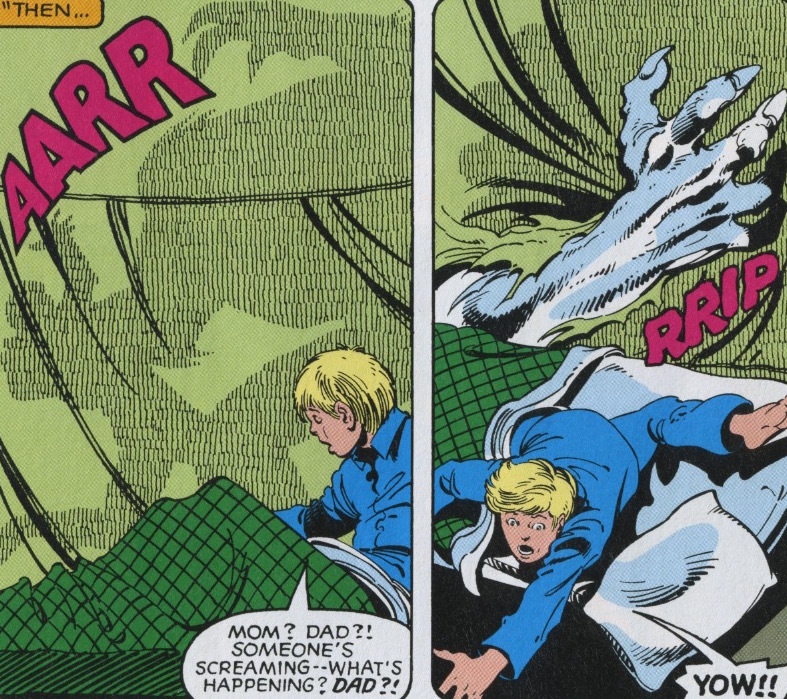 Hard to tell what traumatized the child more, the Wendigo attack or hearing his parents make love in the adjacent tent. Yep, gonna jump right in and help out… yep… in just a minute. If you stand close enough to a BAMF… well… I don’t need to say it. 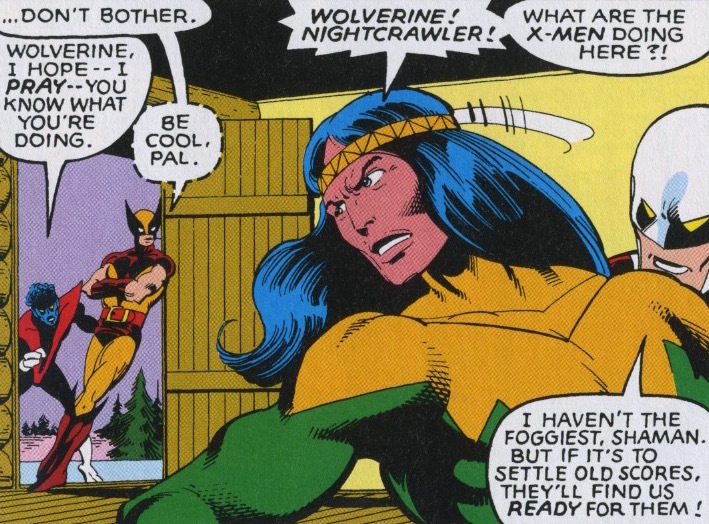 Just look at Wolverine’s face. 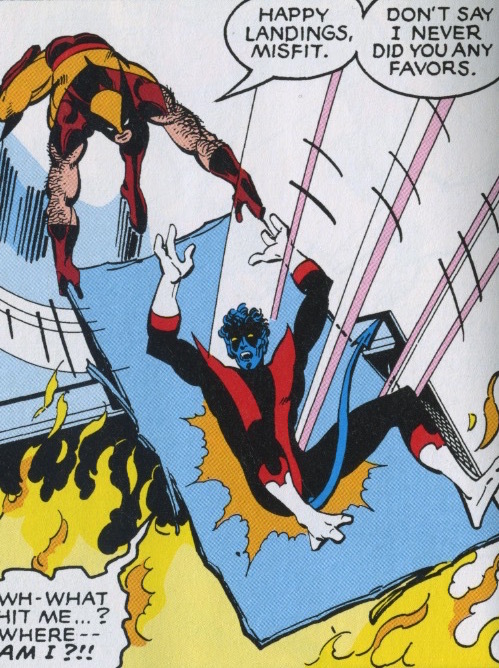 Just then Nightcrawler thought, “Huh, actually that sun is due north. 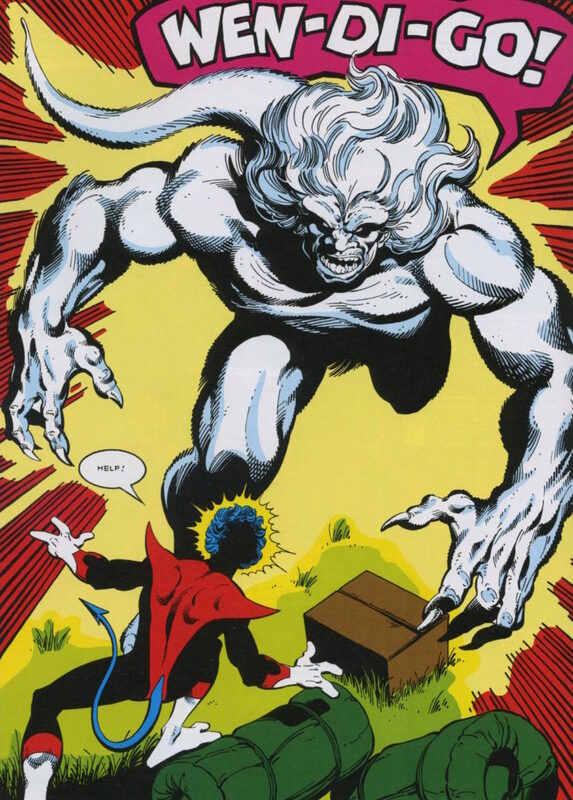 That doesn’t make any–” and that’s when the radioactive blast wave hit him. Wendigo had hunted all summer for two hand warmers and a box to keep his stuff in and no mutant was going to keep him from them. Tagged with: Alpha Flight, Angel, Colossus, Heather Hudson, Incredible Hulk, Kitty Pryde, Louise Simonson, Nightcrawler, Professor X, Shaman, Snowbird, Stevie Hunter, Storm, Vindicator, Wendigo, Wolverine.